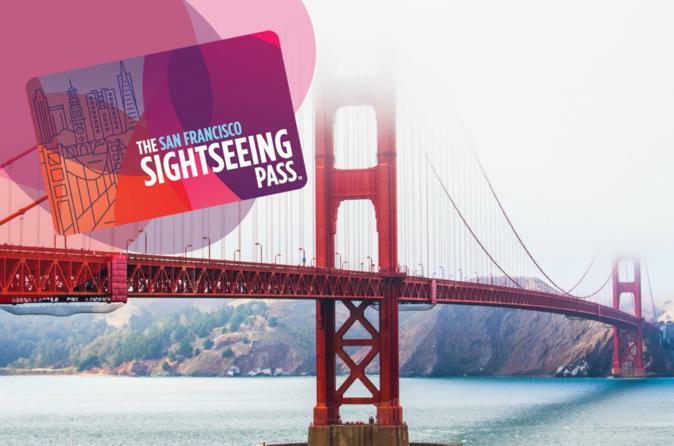 Make the most of your trip to San Francisco with The San Francisco Sightseeing Pass. Choose 3, 4 or 5 attractions and visit them at your own pace over a 30-day period. There are over 20 attractions to choose from. Receive instant delivery, your pass contains a unique code for immediate use. With access to a variety of San Francisco attractions, museums, and tours, The San Francisco Sightseeing Pass is the best way to see the city! Purchase your Sightseeing Pass online and receive it directly via email. With the Sightseeing Pass, you can visit 3, 4 or 5 attractions during a 30 day period. Simply present your pass at any participating attraction to gain free admission. Please note each attraction can be visited once. Your pass takes effect when you first use it at an attraction and remains valid for 30 concecutive days, so you have the flexibility to sightsee at your own pace. You’ll save money and time at three popular San Francisco attractions of your choosing. Select from a list of 20 Bay Area sights and activities such as: a tour of AT&T Park; admission to Aquarium of the Bay, a 1 day hop-on hop-off bus tour; Night tour, and a delicious visit to Burger Bar. Special Offer - Book by January 31 to save 14% off our previously offered price! - Book Now!